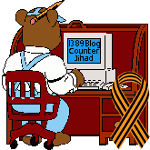 Underwear bomber plot failed because he ‘wore same pants for two weeks’ — 1389 Blog - Counterjihad! The 2009 “underpants bomb” plot failed because the terrorist had been wearing his explosive-laden undergarments for more than two weeks and soiled the explosives, a senior US official said. Umar Abdulmutallab sent shockwaves through US intelligence when he successfully smuggled a bomb onto a Detroit-bound airliner on Christmas day three years ago. The British-educated Nigerian was able to light the bomb but it failed to explode, causing minor burns to the would-be bomber but sparing his fellow passengers. John Pistole, the head of the Transportation Security Administration (TSA), said on Thursday that the bomb did not detonate because Abdulmutallab had been wearing the same underwear for more than two weeks. “He had it with him for over two weeks,” Mr Pistole said at the Aspen Security Forum. Abdulmutallab, now 27, was sentenced to life in prison for attempted use of a weapon of mass destruction and attempted murder. His bomb was made by al-Qaeda in the Arabian Peninsula (AQAP), the terror group’s deadly Yemeni offshoot. Western intelligence remains concerned that AQAP will try to find a European or American jihadist trained in Syria and supply them with a sophisticated bomb that can slip undetected onto a plane. Watch the full discussion on YouTube.